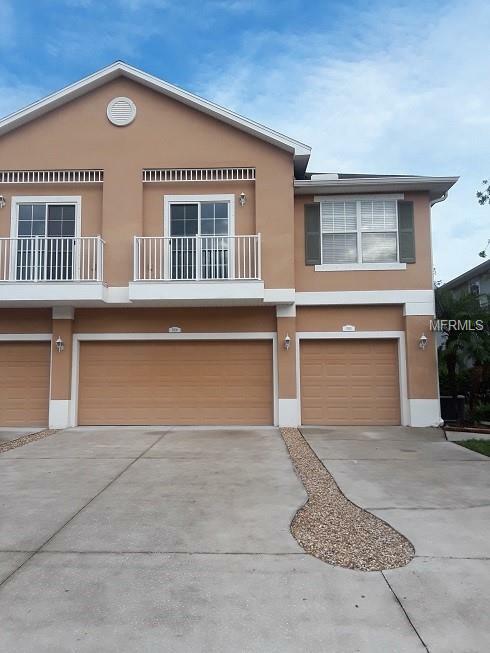 Gorgeous Move-in Ready 2 Story, 2 Bedroom/ 2 FULL Bathroom Townhouse in a gated community!! !One Car Garage on the First Floor. Tile in Kitchen and Bathrooms- Carpets Throughout the Rest of the Home. Open Floor Plan with Two Sliding Glass Doors to let in Natural Light. Master Bedroom Includes Walk-in Closet and a Private Bathroom with a Double Sink Vanity. Kitchen with Beautiful Wood Cabinets, Matching Appliances, Breakfast Bar, Pantry and Built in Desk. Laundry Room on Second Floor. Double Linen Closet for Extra Storage.No outdoor maintenance!!! Monthly fee includes exterior paint, roof, landscape,water,sewer and trash. Listing provided courtesy of Greenlee Home Sales Of Trinity.